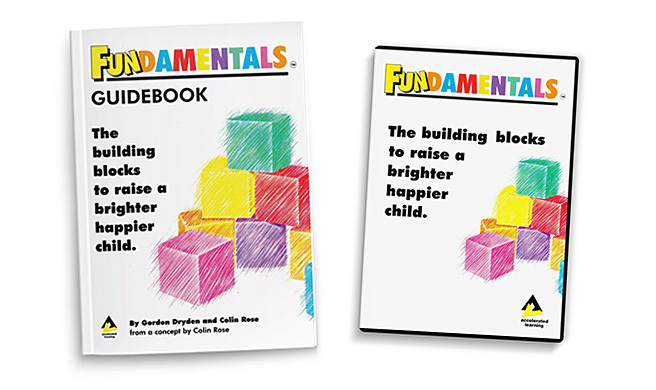 We like to visualise a child's early development as a set of foundation stones and building blocks. The underpinning foundations of the pyramid are the love, security and fun that you provide for your child. The pyramid blocks are then built up step by step on those foundations. 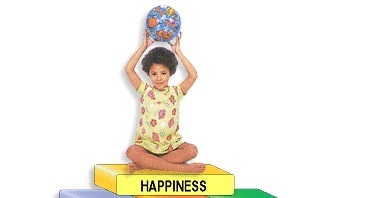 EACH BLOCK IN THE PYRAMID CONTRIBUTES TO A HAPPY, LOVING, ROUNDED CHILD. Your child will learn responsibility through understanding why we have to be responsible for things.Explain to them the ways in which you are responsible for them. One of the best ways to teach responsibility is to make a To Do list and ensure it is completed each day. Praise every success and award prizes and points each week, but do not bribe with rewards. This method of reinforcement is central to all the other values. When they are old enough, then letting them have a pet such as a goldfish to look after can be a great way to teach responsibility for other living things. We could not put this better than this quote by H Stephen Glenn and Jane Nelson in "Raising Self-Reliant Children in a Self-Indulgent World". "We can see the value of limits best by observing what happens when they are not set. Most parents pamper their children in the name of love. In truth pampering is one of the most unloving things we can do to our children. "When things come too easily for children, they grow up thinking that the world owes them. When we give in to our children, we are teaching them to put all their intelligence and energy into learning how to manipulate others into taking care of them, instead of learning to take care of themselves. It is the opposite of love to let them off the hook so that they do not have to experience agreed-upon consequences. "Children need limits in order to learn consequences. But they need to be realistic limits." Simply, your children will learn through the setting of realistic limits and behaviours reinforced with consequences. Courage is shown in the story by Aesop of "The Boy and the Nettle". Getting a child to carry out first aid on a small cut or bruise will help them overcome the fear of simple injuries. Courage comes in many forms and to a small child the first day at school can be frightening. Don’t hide things that are going to happen; talk about them step by step. The stories of "Peter and the Wolf" and Aesop's "Mercury and the Woodsman" show how honesty is one of the hardest values to develop. Children naturally lie as part of the learning process so it should be expected. Talking through "Peter and the Wolf" will show how constant lying will eventually lead to mistrust and disbelief. But always reward honesty with thanks and understanding. It's easy to choose an activity and then expect your child to do it. But these are your goals and may not be hers. Try not to impose your goals, nor criticise if they are not met. Children get frustrated when adults encourage them to become independent but then object to their ways of doing things. In everything you do, including the activities, your thought should be ‘What’s the minimum help I can give him to ensure he feels successful?’. Once he finds success his reliance on his own abilities will grow. Look for every opportunity to reinforce good behaviour rather than nag at bad behaviour, however expect obedience and set a good example yourself. Co-operation begins at home with you and your child. Learning how to do things together, to the benefit of the family, is an essential family teamwork tool. If they want to help you wash up, then give them a plastic beaker to dry. Even if this is the only thing they do, make sure you thank them for their help. Help her tidy her room or put the toys away and each time increase how much she does. The ability to co-operate with others is essential to a good education. Children are naturally inward-thinking so forming friendships and conducting projects together is a great way to teach them about working with others. We offer a number of projects and activities many of which can be used with her siblings and school friends. For your child to learn persistence and to be positive in the face of adversity, he must be shown that we can all, at times, fail and that failure is merely a learning point on the road to success. When we do not succeed we must pick ourselves up and carry on. You are the role model for him. If you don’t succeed in a task, then tell him why and then explain that you will continue until you have succeeded. Show him your old school books and essays explaining how you progressed until you achieved the things you wanted to. Use the stories of "Hercules", "Jason and the Argonauts" and Aesop's fable "The Tortoise and the Hare" to show how perseverance can overcome the most difficult obstacles. Reinforce positive behaviours and help when things become difficult, but most of all don’t criticise. Use feedback to let him see through his problems to the solution. Why creativity in the 21st century? Everything we need is here, isn’t it? Huge amounts of information are available within a few keystrokes on the internet. But it will be those people who can analyse that information and seek new meanings and implications from it that will have the head start for future progress. Inventiveness is the gift that you can give your child for the future. The first seven years will determine your child’s willingness to create, invent, question and see common situations in different ways. It is not just painting, art and crafts but seeing what others have seen in a different way. A child whose parents are always wondering why, how and ‘If we did that I wonder what would happen?’ has a great role model for creativity. It’s surprising but the skill of thinking logically to solve problems or to make good decisions is rarely taught in schools. Yet what skills could be more important? In adult life we think about and make decisions in our head, but a child must see this to fully understand and copy the process. Ensure you talk through any problems and then solve them aloud. Frequently use phrases like ‘Suppose we try that?’ or ‘What if we did this?’ Visit museums and speculate what life would be like without the engine or cars or light. Discuss inventors and their inventions and consider abstract ideas like ‘What do animals think about’. Let her think things out for herself and help her with the answer when she asks. Encourage questioning and let her see other points of view. Children see themselves as the centre of their world so encourage thinking about others and their situations. Thinking is a life skill that can be developed. Of all the languages a child could learn in life, probably none is as universal as music. If your child is exposed to a wide variety of music - including the Baroque, classical and romantic eras – and to singing from a wide variety of cultures, she has the best chance of developing a good musical intelligence. Movement and rhythm stimulate an infant's frontal lobes, which are the parts of the brain that enable her to speak and think. Those frontal lobes grow massively in the first six years. Therefore laying down stimulating activities for these lobes will lead to a solid future foundation for pattern recognition and fluent speech. It is now known that evocative music is useful in creativity, understanding and developing key listening skills. We offer a wide selection of ideas throughout the programme. The ability to store and recall information can be greatly aided by simple tips learned early in life. A good memory is a vital building block for success. We remember things more easily if we can see, touch, taste, smell and feel it and have someone tell us its name and a little about it – the brain appears to organise itself by linking. If we think of cats we also link to words such as tiger, kitty, paws, stalking etc. So learning the connectivity of things is a key skill. We remember well when we’re emotionally involved – we remember better when we are not stressed, so a welcoming environment helps the emotional part of the brain transfer information to the long-term memory. Combining words and music aids memory – it's easier to remember the words of a song if you can hear the tune. This is why poetry and rhymes are so important. We offer a full range of memory activities including online interactive games. Words let us think, create ideas and reason. A poor vocabulary leads to a poor level of reasoning. A rich vocabulary, in contrast, leads to higher levels of reasoning and creativity and skill in communication. These skills are highly valued in later life. It all starts with the love of words: there are 500,000 words in the English language but just 3,000 make up the great majority of everyday conversation. And only 400 make up 65% of the words your child is likely to come across in their reading books. To learn the basics of a language before starting school is a fantastic achievement, and it is largely through your interaction with him that children are able to do so. So our advice along with the activities we offer is: Talk Talk Talk Talk to him. Use nursery-rhymes, stories, books, posters and anything he finds interesting including food packets and labels. Stop occasionally and ask “What do you think will happen next?”. Use prompts such as "because"… and make the story interactive. Re-read stories and pause before the key word, Jack and the ……! Let them fill in the gaps. The keys to early reading are simple: The starting point is for your child to recognise the alphabet. Then learn the 400 beginner words in the English language. Start with the nouns, then verbs, then adjectives and adverbs. We have loads of activities for you including all the word and letter downloads you require to support each activity. Children can literally explode into writing, virtually without any instruction, if they have the right equipment and activities to develop pre-writing ability. They find writing easier because they are expressing their own thoughts, while in reading they have to understand the thoughts of others. How you write – The physical ability to control a pencil or crayon and later use them in a flowing text. What you write – The ability to put thoughts on paper. Getting it right – The ability to spell, punctuate and link sentences to make sense. We provide activities designed to develop the very earliest pre-writing skills right through to full sentences and stories, and all of them are fun for you and your child. Oh No! That’s the immediate response of many adults when confronted with numbers, but numbers are FUN. Children really enjoy counting, so as counting is the basis of all numeracy work, start early. Count everything from buttons on a coat to the number of cars on a street. Remember that it's not just about numbers; the concepts of height, weight, distance and fractions are also part of everyday interaction with numeracy. We supply over 50 activities for you both to enjoy ranging from counting to telling the time. You may often hear that pre-school children shouldn’t, for example, learn to read. They should be joyfully exploring nature. This misses the point – they can do both. A properly formed activity, like ours, can be just as much fun as making mud pies. You child is born with more than enough brain cells to be highly successful. More than 100 billion! It’s not the number of brain cells that determine usable intelligence but the connections that are made between those brain cells. These connections are formed by the experiences and thoughts that you give your child by providing a rich, stimulating environment in the early years. The simple illustration says it all. Like you, your child has five pathways to the brain. He learns by what he sees, hears, tastes, touches and smells. The more you help him develop these senses, the better the pathways (on which all his future learning will be based) will be laid. For the first eight years of his life his mind is truly absorbent. He simply soaks up experiences. Take advantage of this and provide as many sensory experiences as possible. We provide over 40 different activities for you to introduce and use. Different parts of the brain control different parts of the body, so the more movement and touching experiences a youngster gets in the first years of life, the more thorough the grounding for his future education. It is now a widely held view that physical exercise and activities help develop the brain to perform more effectively in the ‘academic’ subjects. Brain research has forever shattered the myth of fixed intelligence. We are NOT born with a single fixed “intelligence quotient” or IQ. Each of us has the potential to develop at least eight different intelligences. Prof. Howard Gardner of Harvard University is responsible for developing the concept of "Multiple Intelligences". The implications for education are far- reaching. We should no longer ask "How smart are you?" but "How are you smart?". Every individual has a different intelligence profile so we all learn differently. Therefore we should provide a learning environment to suit all the learning styles. Feeling loved, without reservation, for what she is, not simply for what she achieves. Success in reaching goals he sets himself. A feeling of accomplishment. The positive encouragement he receives – particularly from parents. All too often children become what others expect. When parents' negative expectations are telegraphed daily through attitude, language and atmosphere, then those expectations become the child’s limitations. A child is not his actions – There’s a world of difference between ‘You’re a bad boy’ and ‘I love you but I don’t like what you did’. The first is a negative label and the second provides the basic love and security but make it clear you disapprove of the action. Remain positive and use positive feedback. The child has no better example on which to model themselves than you - the parent. The physical ability and health of a child depends largely on you the parent. Plenty of physical exercise and a balanced diet are essential to the effective functioning of the brain. The brain needs plenty of oxygen and water to work properly and a balanced diet to operate at optimum levels. There’s no need to be a fanatic about this, simple guidelines are best. Plenty of fruit and vegetables – and a diet including plenty of beans, peas, broccoli, carrots, berries and rice as well as pulses and wheat bread to provide the iron and zinc. Zinc based foods help develop memory and iron is needed for cell growth. Plenty of fish and fish oil – These are great brain food and also develop the body’s immune system. A diet high in potassium – Half a banana a day each will provide both you and your child with the correct intake. Potassium provides the protective coating on the brain's pathways. These can transmit up to 12 times faster with the correct coating than without. Remember to use common sense and never force a food on your child. Try again another time or even use a tasting game like those we suggest. Love is an active verb, so tell your child each day how much you love her. That way she can see for herself how love is shown by little acts of kindness. Try putting a ‘love you’ note in her pocket or under her pillow. If she can’t read, then read them to her; it will also make her want to read. A ‘thank you’ letter for her help doing the washing or tidying her bedroom will show her that what she does matters to you. Love needs to be nurtured actively. It must be shown as well as felt. Children need physical security. That means both the physical contact of hugging and a safe environment in which to grow. Say you need a hug when you feel depressed and let her know it makes you feel better. Love and security are the basis for progression and self esteem. Without the feelings of love and safety your child will not be able to enjoy the activities and ideas which we offer for you to share together. Throughout all our work we stress that you need to create an environment that is sufficiently challenging to produce a feeling of achievement – but never so challenging as to appear overwhelming. It is a delicate but vital balance. Over-ambitious parents fail because, instead of encouragement and support, they provide a hot-house environment and pressure to succeed. The UNSHAKEABLE rule is: ‘If your child is not enjoying it, stop immediately.’ It is vital to recognise that each child develops at their own pace. Albert Einstein started talking very late, yet became a world-renowned scientist. So whatever happens, give your child a chance. The only race your child is in is the Human Race. That’s less than 1p a day!! !